Remodeling any section of your home can be a stressful and sometimes even more confusing, expensive, and frustrating than what you were expecting. At Century Kitchens & Bath we strive to provide the highest quality service and craftsmanship by using the best materials that you have selected. Your selections will also determine the expense of your project. Your home remodeling project will be completed on schedule with constant communication ensuring an engaged stress-less experience. 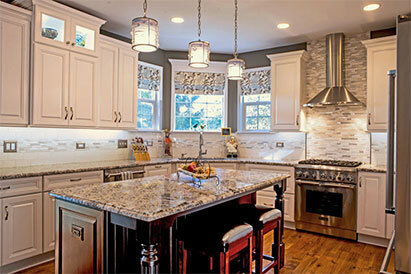 We are essentially your one-stop for all your remodeling needs. Our outstanding customer service paired with our endless options and solutions will help you build your dream kitchen or bathroom. Bring us your “dreams”, your magazine clippings, your Pinterest and Houzz favorites and we will make them into a reality. We employ some of the most talented design professionals in the industry to assist you. 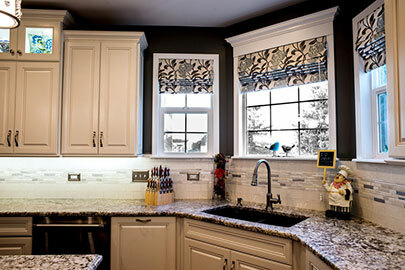 Kitchen remodeling – whether you prefer a traditional style or the sleek and modern look, we can help you. We use state-of-the-art programming to help you envision what your new space will look like once we’ve designed your space, showing you every little detail. Bathroom remodeling – when you need to renovate your bathroom cabinets, counter tops, flooring, and plumbing fixtures, you can rely on us to do an excellent job using high quality materials. Flooring – finding reliable materials for your flooring is crucial for longevity and peace of mind. Come into our showroom and receive a free consultation with a professional designer who will assist you in creating your dream kitchen or bath with us today! Our mission is to create a finished product that fits your budget, vision, and lifestyle. We design kitchens and baths with the objective to provide our customers with superior design expertise, quality cabinetry along with kitchen and bath related products. 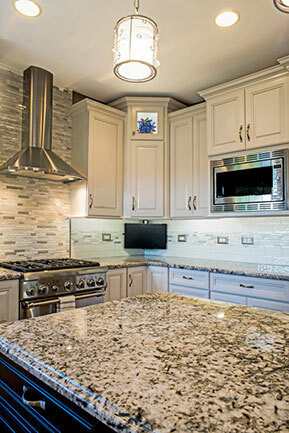 Combining the best choices with superb service and impeccable business credentials are essential to the success of any kitchen / bath remodeling project. We do it all, from conception to completion. Century Kitchens & Bath has been an active member of the Antioch Chamber of Commerce and the Lindenhurst - Lake Villa Chamber of Commerce since we opened our doors.